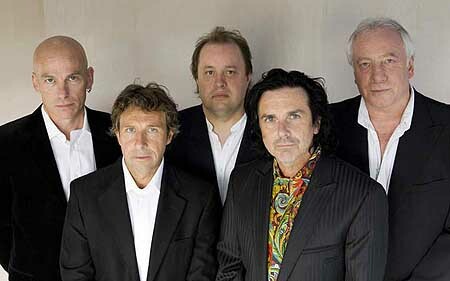 As you may know, Marillion are a British rock band, formed in Aylesbury, Buckinghamshire, England, back in 1979. Their recorded studio output since 1982 is composed of seventeen albums, but don't let the stats fool ya! Mainly because the band falls into two distinct eras, delineated by the departure of original frontman Fish in late 1988, and the subsequent arrival of replacement Steve Hogarth in early 1989. Thus, the first four albums were released with Fish on vocals, the latter 13 with Hogarth. Fish's era was a big commercial success, the band releasing eleven Top 40 hits on the UK Singles Chart, including 1985's "Kayleigh", which reached #2 and became their biggest hit single. 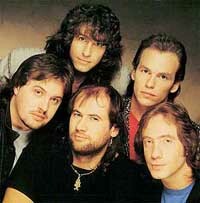 The first album released under Hogarth's leadership, 1989's Seasons End, was also a hit, and albums continued to chart well until mainstream popularity began to elude them in the late 1990s. Although it should also be pointed out that they had a wonderful resurgence in the mid- to late-2000s! 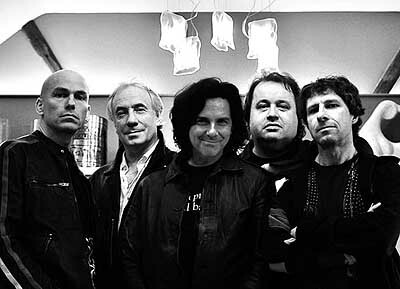 Marillion (Steve Hogarth - lead vocals; Steve Rothery – electric guitars; Mark Kelly – keyboards; Pete Trewavas – bass guitars; and Ian Mosley – drums, percussion) have since gone on to achieve twelve Top 40 hit singles in the UK with Hogarth, including 2004's "You're Gone", which charted at #7 and is the biggest hit of his tenure. Indeed, the band were ranked 38th in Classic Rock's '50 Best Live Acts of All Time' in 2008. 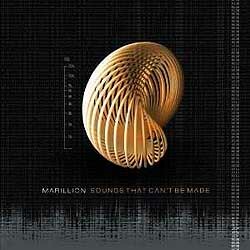 With Sounds That Can't Be Made, Marillion continue their successful musical journey. The 17th studio album is as soulful and powerful as ever, including 8 brand new songs, it also comes complete with an album cover that includes photographs taken from onboard the International Space Station! Chatting recently with lead singer Steve Hogarth, and taking it from the top, just for the record I first thought I'd ask as to how he liked to be addressed: Steve ... or 'H' ... or Mr. Hogarth ... or something else completely?! "I call Mike Hunter "Mr H" out of respect and affection - so I'd be happy if you call me that. I'm not fussed really. The Dutch call me Hogie and that kinda grates a little." OK, clueing everyone in, Fish left the original incarnation of Marillion back in 1988. In 1989 you stepped in to sing vocals on Seasons End - and some 23 years later and some 13 albums later nothing has changed! However, back in 1989, did you think you were only stepping in temporarily - given that your prog-rock musical background was different to that of the pop-rock of Fish's Marillion? "I didn't really think long-term. Nothing's usually lasting more than five years in the music business. If you'd said I'd still be touring the world and recording with Marillion (or anyone!) 23 years down the line, I'd have been amazed. We're all very lucky to still be "getting away with it"." Indeed, it truly has turned out to be an interesting musical phenomenon with regard Marillion (Version #1) having been so pop-rock successful for the opening 4 years; and then Marillion (Version #2) having taken things more prog-rock and having been successful all of its own too! That rarely happens! "No. I guess we've been successful enough not to have to split up. But not so successful that we'd be able to afford to!" OK, being that each new album continues the musical journey of Marillion, with the release of SOUNDS THAT CAN'T BE MADE where do you now find yourself on this path taken? "I have mixed feelings. Finishing this album was very stressful as we had kinda ran out of time. By the time we had mixed and mastered it, I couldn't listen to it without feeling stressed-out. The thought of writing and recording another one right now fills me with dread. Fortunately we won't be entering that place again for a while." "My writing is all about true things ("my" truth at least) and that can be a tough thing to dig out, and an uncomfortable thing to reveal. Real tears for sale, if you know what I mean. It really places a lot of pressure upon me. Having said all that, STCBM has been received by the fans and media with a predominantly rapturous response, so it's getting easier to listen to! The songs are being well-received live too, so there's a feeling of great relief." The new album cover has been designed by Simon Ward, while the booklet will feature photos taken from onboard the International Space Station! Wow, er, so, how did all that come about?! "We wanted to create a special package to beat all the previous ones. We had a lot of pages to fill so we decided we'd bring several contributing artists on board. We had run into Marc Bessant at Real World, worked with Carl Glover before of course, we have our own brilliant designer Simon Ward working in our office, and we also asked the brilliant Andy Wright to photograph Montreal for us." "Then we discovered that Andre Kuipers was blasting off from Kazakstan in a Soyuz destined for the International Space Station with a selection of our music to listen to during his six-month stay. We asked him if he'd take a few photographs for us. He sent us those incredible images. I think we had to credit NASA for legal reasons but they're Andre's shots." "The front cover image is a photograph of a real object which, I believe, began life as a 3 dimensional mathematical representation of a cardioid, computerised and then printed using a 3D printer (which prints solid objects in space instead of images on paper - far out!). It's about the size of a satsuma and I have held it in my hand." Wow! OK, moving on and your album titles have, for the most part, always been very personal to you as a group - so, please explain SOUNDS THAT CAN'T BE MADE "Well, the song of the same name is about how it feels for someone to light an unspoken fire inside you. A metaphysical transference of passion or energy. A beauty which arrives silently without any obvious process. Silent and high. Like the wind blowing in the palms of my mind. Yeah." Indeed, parts of the new album were actually recorded at Peter Gabriel's Real World Studios back in 2011. Did you happen to run into him during those sessions and why choose there to record anyway? "No. He wasn't around. Or he was hiding. I didn't see him darting between the trees. We chose to record there because it's residential and our studio isn't. We felt it would do us good to live together and intensify the process. To immerse ourselves in the project. When we work in our own studio it can get a bit like a day-job. Someone always has to leave early and someone always shows up late or gets given something else to do. We manage ourselves, so there are so many things to think about and so many meetings and phone calls to constantly distract us." "Real World was a chance to "get away from it all". We just went for a week, but found it so productive that we repeated the process later on. I'm fortunate to have met Peter years ago when he was recording the "So" album. I happened to be at his house during the sessions and he played me "Red Rain" at the mixing desk just after it had been mixed. A great privilege. And a very generous chap." SOUNDS THAT CAN'T BE MADE opens with the operatic, politically-charged 'Gaza,' a 17 minute multi-layered cut if ever there was. But why make this long, heavily-opinionated track the opener on the album? "We all feel it might be the most important song we've written. It's certainly one of the songs we're currently proudest of, so we thought we'd put it on first. We've not made forays into Arabic music before either so we thought we'd put the most adventurous song first to keep the listeners on the back-foot!" "I'm getting a few emails from people who object to me writing about Gaza. They're saying it's anti-Israeli, but there's nothing in the lyric that condemns Israel. I haven't written this stuff to tell people what to think - but if it sends people running to the internet and to libraries to find out more about Gaza, then it has done it's job, even if they then disagree with my perspectives. Those kids in Gaza deserve a break." I found that after listening to 'Pour My Love' twice that I suddenly realized who it was it sounded like - Mick Hucknall! My goodness man, it sounds like a Simply Red song! A beautiful song, for sure, but come on now, what's happened here?! "Simply Red! Really? And what are YOU doing listening to Mick Hucknall, eh? I slept in his bed once, although that's another story. We all thought 'Pour My Love' was somewhere strangely between Prince, Todd Rundgren and the Isley Brothers. I have no problem with any of that." As a band, you've said for years that the band has never been fashionable in the eyes of the media. Does SOUNDS THAT CAN'T BE MADE now make you a little more fashionable with them, perhaps?! "Oh gawd. Who knows.. and who will ever know? Looking through this week's mags I think we've got some way to catch up with Paul Weller and Kasabian." In 2000, you said that you regretted the band retaining their name after you joined. Does that regret still sit with you as powerfully today, perhaps? "Not as powerfully." And, obvious question, but what would the band have been renamed back then? I mean, you must have had some new names already circulating, yes? "No, there was nothing suggested at the time because it didn't seem like an option - just as it doesn't seem like an option now either. We make so many dedications from the stage these days, we could change our name to Moonpig!" a) Seasons End (1989) - "Naive, but popular collaboration." b) This Strange Engine (1997) - "Surprisingly successful AOS offcuts." c) Marbles (2004) - "One of our best." d) Less is More (2009) - "Interesting and worthwhile experiment"
When an album like Anoraknophobia (2001) fails to chart, the lead single too, after all that work; time and effort, what does it do to you personally? "Desolation previously and repeatedly visited before Marillion. I think I was used to it. More-so than the rest of the band perhaps. I look at it like this - If someone paints a great picture which nobody gets excited about and it ends up in a dark dusty place for many years, unappreciated and dismissed as rubbish, that doesn't make it less great." "It remains what it is and still remains to be discovered and appreciated for what it is. Next year or in a hundred years. That's what makes me/us so lucky. That we are still able to paint. The painting is what it's all about, not the reception it receives from fashionable society. We all feel lucky to be able to create and to perform without anyone telling us what to do or how to do it. We are free to fail, but uncompromisingly so!" In those moments when you get to sing, on stage or at home to yourself in the shower, old-school Marillion songs, which one from Fish's era do you enjoy singing the most? "It depends on the mood I'm in. It would have to be on stage - I don't sing Marillion stuff of any era at home or in the shower! I recently enjoyed singing "Heart Of Lothian" on stage in Edinburgh. That was terrific. I also enjoy "Sugar Mice," "Warm Wet Circles" and "Slainthe." I really like Fish's "Garden Party" lyric." 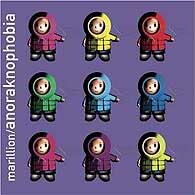 If I came across an old tshirt for the Anoraknophobia CD promotion that read 'Marillion: Uncool as F*ck,' who would have been responsible for this within your ranks?! "Probably Mark Kelly - the spoof shirts were his idea. He was recently saying we should do a shirt which simply says "Marillion are f**king awesome!". Pete T doesn't like the swearing so I think it was vetoed." Finally, and throwing you a journalistic curve ball, Exclusive Magazine loves Penguins (the bird) ... do you?! "Was on a beach with a load of them down at Cape Point South Africa once. Very smelly. I like the Emperor penguins in the antarctic - on TV where I can't feel the cold. Do smells freeze? Standing there in a blizzard for months with an egg on their feet. I agree they are loveable creatures ... as long as you can't smell them. I feel the same way about pigs."